Caffe Mediterraneum owner Craig Becker is looking to make his business open 24 hours a day, seven days a week as part of an effort to revitalize Telegraph at night. 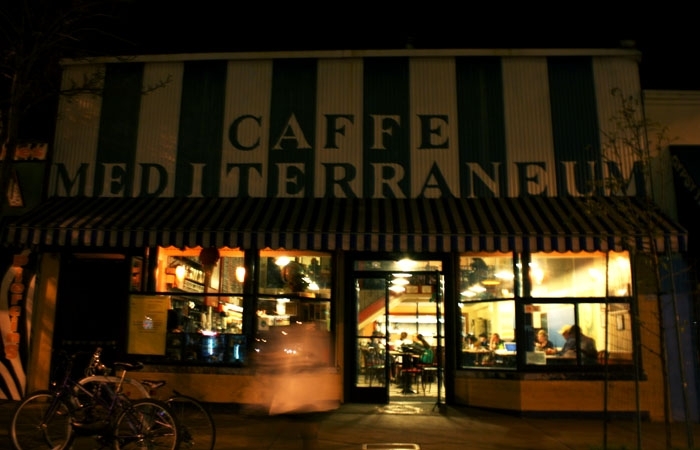 As the city of Berkeley attempts to move forward with its long-standing plan to transform Telegraph Avenue into a 24-hour commercial zone, Caffe Mediterraneum owner Craig Becker, a major proponent of the 24/7 plan, has chosen to pursue a different route to extend his business hours. On March 15, about two weeks after the city's Planning Commission decided to hold a public hearing for the proposal, Becker applied for an Administrative Use Permit - requiring a review process by both the city and public due to its potential impacts on the area - to operate his business 24 hours a day. "I decided not to wait," Becker said. "In general, we need to revive Telegraph at night. Not everything can happen at the same time, but we need to start the process." He added that part of the 24/7 proposal allows businesses that serve alcohol to stay open until 3 a.m. - as opposed to the current 2 a.m. closing time - but that since Caffe Med does not serve alcohol, he does need not wait for the proposal's approval. At a Planning Commission meeting March 2, some commissioners said they did not want to extend hours for alcohol-serving businesses, pointing to concerns about students drinking in the area late at night. But Becker said this problem could be solved if businesses continue to sell food throughout the night. Most alcohol establishments stop serving food at 10 p.m., according to Becker. "(They can) stay there and be able to eat ... without having to leave," he said, adding that bar-goers have to walk up to businesses that currently serve food after 10 p.m., such as Top Dog and King Pin Donuts. "It gets noisy." In seeking an administrative use permit, Becker said he wants to have the option of deciding when to close his business each night, though the cafe will most likely not stay open for all 24 hours. "The comments (from the public) are usually positive," he said. "There is a couple of 'Why do you want to open 24/7?' And I don't know, but I want to be able to if there are enough crowds and it's worth it." Pam Johnson, an assistant planner for the city who will review Becker's application, said the permit process may take a couple of months since the application needs to be reviewed for 30 days in addition to a 21-day appeal period for those who express discontent with the application. "The citizens of the immediate area support late night businesses," said Councilmember Kriss Worthington, whose district includes the cafe. "In respect for the people who live in the area near campus, that should be a possibility." Roland Peterson, executive director of the Telegraph Business Improvement District, said the district supports Becker's permit application, adding that he would like to see more businesses to stay open late. However, the district is not actively promoting the idea of businesses applying for permits to extend their hours, though it would like to see changes in city policies to allow them to stay open later, Peterson said. While there is still no set date for the commission's public hearing, the commission has requested that the city's Planning & Development Department draft a new report restricting the proposal to establishments that do not sell alcohol. "It sure sounded that they will change the language (of the proposal)," Peterson said. "To what extent we would support or accept a compromise, I don't know yet."